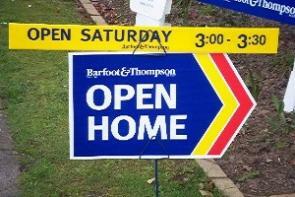 Barfoot & Thompson achieved sales on more than a third of the properties at its auctions last week. The agency, which is Auckland's largest by far, marketed 197 properties for sale by auction and achieved sales on 75 of them, giving an overall sales clearance rate of 38%. At the Manukau auction, where most of the properties offered were in south or eastern Auckland, the sales rate was 28%, while at the North Shore auction a 31% sales rate was achieved. At Barfoot's head office auction rooms, where most of the properties offered were in the central Auckland suburbs, the clearance rates were generally above 40% and at the auction on 23 February where most of the properties offered were in west Auckland, the clearance rate was 30% (see chart below for the results from all of Barfoot's auctions last week). Prices ranged from $475,000 for a four bedroom bungalow on a potentially subdividable section at Tuakau, to $3.24 million for a large, modern house with a pool at St Heliers. Details of all the properties offered, and the prices achieved on those that sold, can be viewed on our Residential Auction Results page. When taking a property to auction make sure it's a mortgagee to ensure a good outcome. Old news, a car park sold last week in Auckland for $50,000, that's a 95% drop in price compared to the housing high. Blood bath doesn't even begin to describe the carnage out there. Im just illustrating that hes not comparing apples to apples. He paused, his furrowed brow creasing ever more so, and with an ever so deft and deliberate dart of his tongue, wet his gnarled lips and in a barely audible Clevedon brogue uttered these six simple words, words I suspect I shall never forget. And for that, I for one am truly grateful. I see that the RE's are getting more desperate for sales, even taking to advertise individual properties on large scale printed bus stop billboards here in Auckland. I do hope that they're not expecting the clients to pay for that marketing. I'm sure that most people waiting at bus stops couldn't afford those million dollar price tag homes. And as a driver passing the ad by, you hardly notice it. I suspect you're correct, I know its only anecdotal but in the last few evenings we've had 6 REA's knock on our door asking if we want an appraisal. As soon as I told them (all) we're just renting the next question was whether we were looking to buy soon followed by frantically pushing a business card forwards. To me this is striking as this kind of behaviour definitely wasn't happening last year. The other thing that really stands out is that as our current place is managed by a certain Barfoot's office, 4 of the 6 REA's who have knocked have been from other Barfoot's offices in other parts of town. I assume its a franchise arrangement where they're free to cut each others' throats? Economics 101 - the Market price is where a transaction is concluded. It's a voluntary process. The vendors don't have to do anything, neither do the buyers. That's why volume dries up in a slow market. It's also why what does transact is often lesser quality properties. Well, partially. When the 'market clearing price' is $800,000 but the vendor wants $900,000 and takes it off the market - the market value is still $800,000. There is no flaw in my comment. The market is where a transaction is concluded. Given my years in financial markets I'm guessing I know a lot more about markets than most. You guys arnt talking about the same thing. You are both right, market price is the bid/offer and is often a spread or is the last completed transaction while the market value is generally the price at which an asset could be successfully sold. In any market, both bids and offers are conditional as their ability to complete is untested. Transactions concluded are where it's at. Yes I do agree, im pointing out to ex-socialist why you are wholly correct and not just partially correct. If you are valuing a property it would be assessed on the comparable sales. The fact that a vendor doesn't want to sell at $800k doesn't change that is the market value. Exactly, the market value is based on sales i.e. concluded transactions. If the OP is wondering why vendors aren't meeting buyers, it's because the market hasn't found a mutually agreeable transaction point. Are these the lyrics for the Fresh Prince of Double Grammar? I only need one property, my home, and I hope it sees me out. It doesn't stop me taking an interest in what's going on in my area though. In leafy suburbs, is it Hydroponics or Bitcoin thats leaving the biggest carbon footprint? There's a lot of stressed RE agents out there. No Kohimarama properties in this week's auction results but 3 out of 5 St Heliers properties sold at Auction. All results were above their 2017 CV; 102%, 115% and 122%. Much prefer St Heliers and Glendowie..
Have you chosen your preferred suburb in Dunedin yet? Of the 32 houses sold in the Eastern Suburbs ( Remuera & Parnell) only five sold for more than current CV. The rest sold under CV and many substanitially lower. What does that mean? The CV's are too high, or are prices slipping? I think this recent article from the BBC can answer a lot of those questions for you, NZ gets quite a lot of attention, looks like the world is focused on our next move relating to overseas property investment. So St Heliers (1071) had three of those? The headline property in Tuakau actually sold for more than the 2017 RV. Zachary, what's your theory? Do you think the buyer was priced out of a packed Sydney auction room - so they chose Tuakau instead? It's more of a zeitgeist thing. Someone. somewhere in Sydney, bought a similar property for a similar price at about the same time for similar reasons. Today someone, somewhere in the world unknowingly took today's biggest crap in the world. Anyone to recommend where to go for sky diving? I'm thinking of late March or early April- preferably with a qualified instructor. Taupo Tandem Skydiving were excellent when I did it last year. Since I last did my ZS report 33 suitable sales have been added to the auction results page. Prices ranged from 482k to 1950k so a good mix of properties. 19 sold for over 2017 RV, 1 for the same and 13 below. So the majority sold over the RV. 34.924M in sales with 2017 RV of 33.563M = 4% over RV. 2014 RV = 23.190M = 50.6% over. The results again show a consistently accurate 2017 RV when averaged out. The 50.6% above 2014 RV reveals no dramatic drops in price. In fact I rarely got this high a figure in pre 2017RV calculations last year. Prices are holding, possibly rising - pure ZS spruiking. Disclaimer: best effort addition accuracy. One would have to keep in mind that auction sales may be the cream of the crop. They are more likely to sell above RV if they are likely to sell at auction in the first place. It's possible that houses selling by negotiation are showing completely different results. Wow. You demonstrate all the statistical power of the rear side of an envelope. You might need to pick up your game in a data-driven world. It's pretty much just a collation of data gleaned from the auction results page and comparing prices with ACC RV values. Just a few facts. 33 is a good sized sample and add that to the 20 the other day. Results are consistent too. Sorry it is so triggering for you J.C...not sure why that is. Honestly what is your problem? For people with a few properties it is quite interesting. I have modified my disclaimer to keep you happy. Also people ask me for these "reports". Zach, cheers , the numbers are what they are. At present there is a consistent relationship between Auckland houses sold at auction and 2017 RVs. If J.C has a larger abacus perhaps he or indeed she (or other or other or other ) could elaborate upon a statistical analysis that provides further insight. At present there is a consistent relationship between Auckland houses sold at auction and 2017 RVs. Pray tell what is this "relationship" you speak? What is the power and strength of this revelation pulled from the cloak? 33 is a good sized sample and add that to the 20 the other day. Results are consistent too. So what is a "bad sample size" and what is your "method"? Ah J.C, what treachery dost thou espy? The auction results pages are all we have to go on for very recent sales. A sample of 33 for a ZS report is on the high side. Sometimes it is only ten or twelve. All the reports since the 2017 RV came out have revealed that when you add up all the sales and add up all the RVs the result is remarkably similar. Using the old RV it was always between 30-50% above RV. If I observed a consistent result of 20% or less above 2014 RV I would declare a crash. If I see a consistent 10% or more above 2017 RV I will declare a hot market. I do not include extreme outliers in my reports and endeavour to weed out mistakes and problematic sales. It's just a bit of fun really although I do find the results comforting I must admit. I'm actually looking out for real bargains which I thought I spied the other day but it turned out to be a mistake. When I do this analysis I feel I get a better perspective on market activity and I get a feel for what areas are hot and what's not. I do it for my own benefit, peace of mind, whatever, and share it with others as, surely, it is very relevant to the thread. Greg has published the results. I analyze them. This is an auction results thread! Why am I posting at 4am? Just got back from a job, keeping IT functioning while you all sleep. The pressure keeps rising, real estate.ci.nz now has over 13300 listings for Auckland, Is that a new record? .I am yet to see one of our number quote chapter and verse the omniscient Harry Dent. I suppose there is always tomorrow. People fleeing the California bay area due to high house prices. Same thing is happening in Auckland? I wonder where that trend will take us in the next 10 years. Interesting article. Regions in the West are going to continue to boom. Globalism continues its relentless onslaught. Everyone wants to come to the English speaking West. I have just been working with a young Brazilian, been here for five months, so happy to be in NZ, the least corrupt country in the world. His friends back in Brazil advise him to keep this country honest and to do his part. Fantastic guy who really wants to be part of our world. And yet we have others who seem hell-bent on importing there own style of corruption from their home country. Don't be fooled by irrational enthusiasm which ignores what is going on. NZ may be the least corrupt country in the world but in the ranking system that is being used our score slipped. To Whanganui, Gisborne, Hawkes Bay, etc?